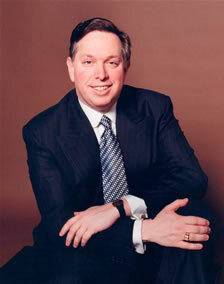 The John F. Kennedy Center’s president, Michael Kaiser, has set up a new non-profit –an online arts crisis hotline –for arts organizations needing administrative counseling during the current economic downturn. Requests for assistance will be handled with respect and held in confidence. Read more in Jacqueline Trescott’s article on washingtonpost.com. Jazz has long since left the back rooms and alleys of our communities. It has taken the concert stage and more. Jazz now has a place in the communities. Like-minded people tend to gather together. When you hear or play jazz and direct your energies toward the music, you don’t think of war and crime and all those things that debilitate hearts. It’s a refreshing change to blog about great artists with a lot of creative mileage on the dashboard and an engine that’s still kickin’. 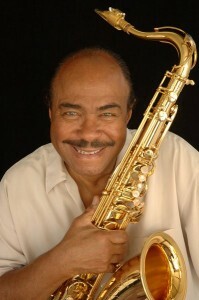 That would be tenor saxophonist and composer Benny Golson who turns 80 January 25th. I believe Benny is on the Freddie Hubbard clip I posted earlier. He recorded “Moanin” with Art Blakey and the Jazz Messengers in the 1950s. A special birthday tribute is on the calendar at the John F. Kennedy Center for the Performing Arts for Saturday, January 24, 2009 at 7:30 PM. [There will be a free afternoon concert on the Millennium Stage with the Duke Ellington School of the Arts Jazz Orchestra.] On the bill for the evening event is actor Danny Glover, the Clayton-Hamilton Jazz Orchestra, vocalist Al Jarreau, and bassists Ron Carter and Carl Fuller. Tickets are $22 – $50 and are selling out! Benny Golson was named a National Endowment for the Arts Jazz Master in 1993. I have to admit, I’m not up to speed with jazz these days. And until Dorothy McSweeney told me about this concert, I didn’t know Benny Golson by name or face. Heard some of his tunes, but didn’t make the connection. So here we are. Glad to meet you Mr. Golson and hope you have a Happy Birthday. Alicia Adams has to have one of the best jobs in the world. She’s the vice president for international programs at the John F. Kennedy Center for the Performing Arts in Washington, D.C. Her job takes her all over the world where she’s presented and introduced to new and traditional works in music, dance, theater, literature, and visual arts. She returns to DC with her treasures and transforms them into an annual festival of arts and culture focusing on a region, culture, or country in our global community. This year’s festival is “Arabesque: Arts of the Arab World” (February 23 – March 15). Over 22 countries will be represented for performances of traditional and contemporary dance, theater, and music. There will be several programs devoted to literature including poetry by Suheir Hammad of Def Poetry Jam. 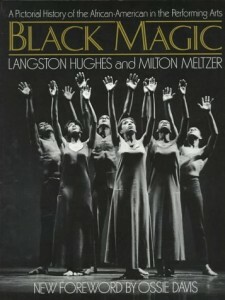 I produced a public access program with Suheir and Ethelbert Miller several years ago at Provisions Library. It’s one of my favorite video pieces. I had to do a lot of research on Arab music and east coast NYC hip hop to keep up with Suheir’s references. It helped that my first DC job was with the American Arab Affairs Council where I coded the journal’s manuscripts for publication. The Council was co-founded by George A. Naifeh (1924-2006), a retired USIA officer. Last year I read my second Mahfouz book, The Thief and the Dogs. My first introduction to his writing was Maghrib Alley. I recognized some of Naguib Mahfouz’s characters from my own encounters. I’ve never been to Cairo. I’m looking forward to the festival. The arts have always been my bridge to people and places that are unfamiliar to my limited experiences, perspectives, and encounters. It’s hard to be creative in a chaotic world or perhaps the arts can make sense of it. At least it makes space to breath again.